Unfortunately, your registration has been declined by the auctioneer. You can contact the auctioneer on + 44(0)20 7563 4005 / 4090 for more information. You are the current highest bidder! To be sure to win, log in for the live auction broadcast on 12 Jul 2018 16:30 BST or increase your max bid. 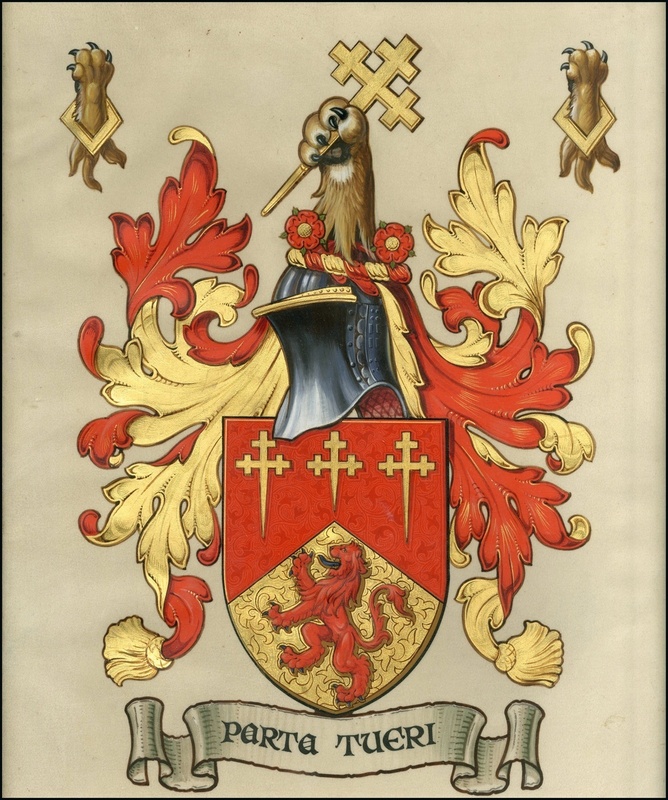 1923 (18 December) a framed Grant of Arms (Patent) on vellum from George V's reign to Richard Henry Powis of Sudbury in the county of Middlesex, Gentleman former Lieutenant in the Royal Engineers. Signed and sealed by Sir Henry Farnham Burke KCVO CB, Garter Principal King of Arms, and William Alexander Lindsay Esq KC, Clarenceaux King of Arms. Offered with the original red leather fitted presentation box with George V cyphers. The seals are not attached to the patent but are in the box in their original brass fittings. Slide locking mechanisms on the box still working. An invoice showing the total amount due, including buyer’s premium, taxes, postage charges and other fees will be sent to buyers directly by Spink. For full details please see the Spink Terms and Conditions for Buyers.